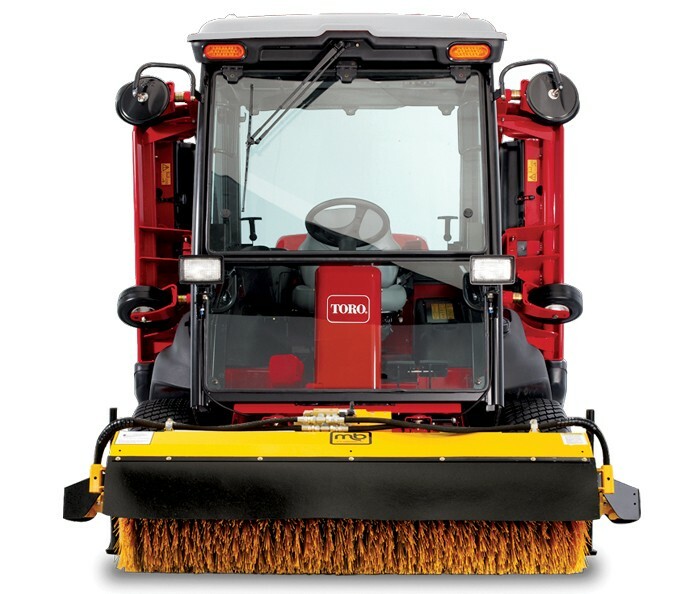 The Groundsmaster® 5910 is loaded with productivity boosting advantages like the Cummins® turbo-charged, 99 hp (73.8 kW), diesel engine (biodiesel-ready, up to B20), SmartCool™ System with auto-reversing cooling fan, onboard InfoCenter™ diagnostics, Climate-Controlled Cab and much more. 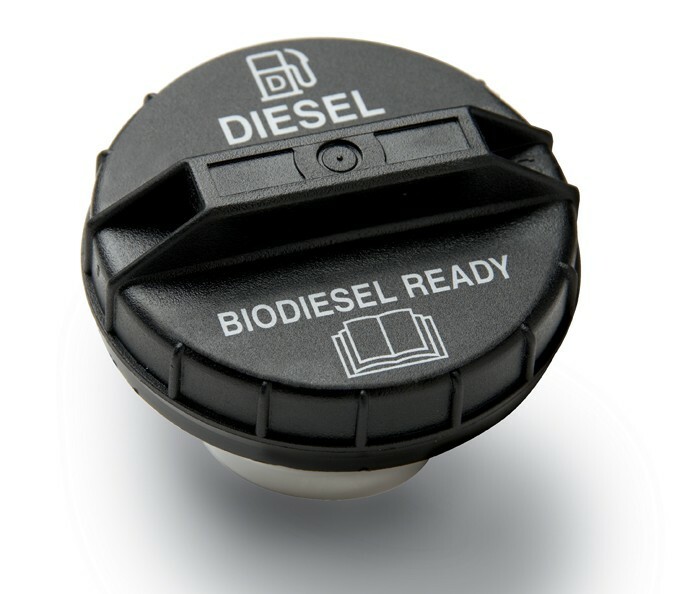 Biodiesel ready up to B-20. 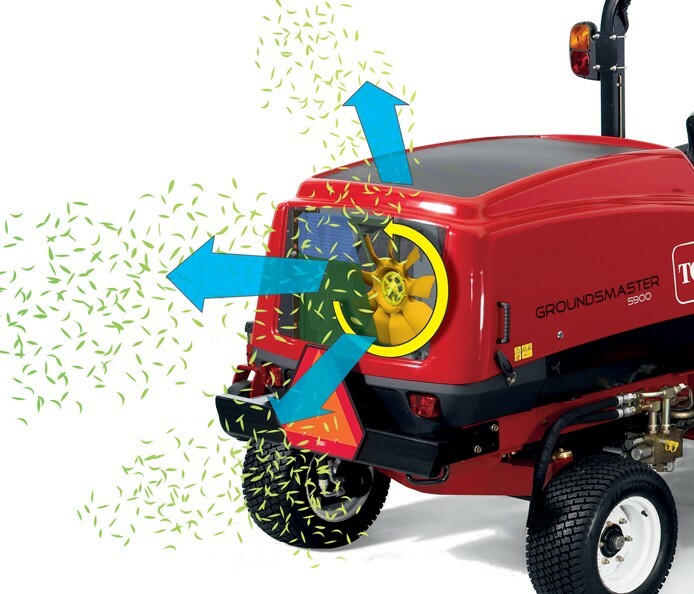 Optional snowthrower or rotary brooms make the Groundsmaster® 5910-D an all year round machine. 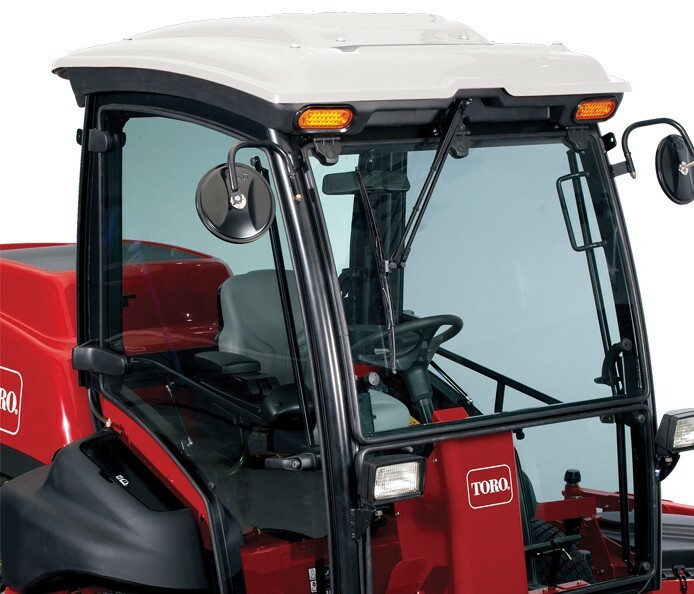 For ultimate operator comfort, the 5910 offers a factory installed climate-controlled cab. The full-time, 4-wheel drive puts power where it’s needed. The cutting decks automatically take weight off the cutting units for more flotation, and put it on the traction wheels when climbing hills. Individual wheel brakes and 4WD flow divider can be used to provide additional traction assistance. 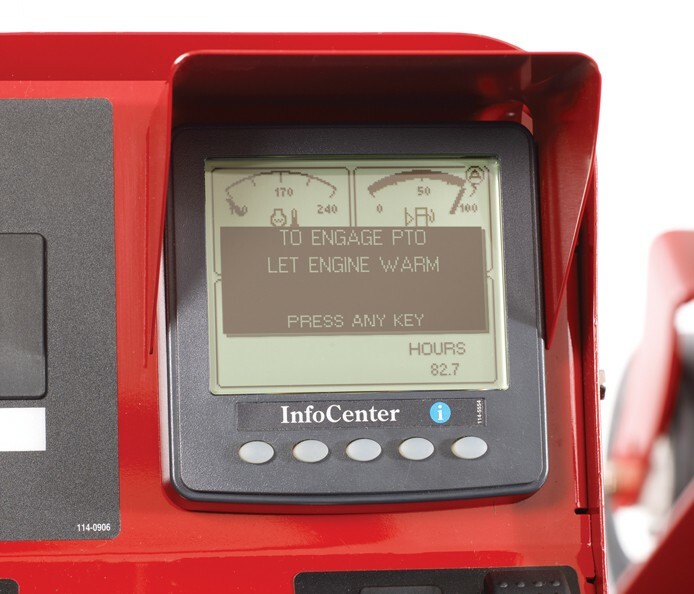 With the all-new InfoCenter™, you get helpful maintenance reminders and instant notification of potential problems. It’s like having a mechanic on board. 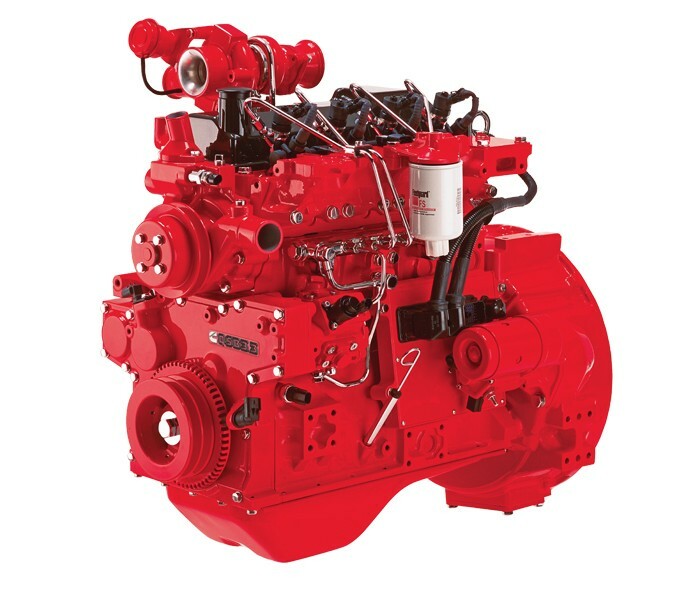 Get more productivity with a surprising mix of fuel flexibility, efficiency, low emissions and unstoppable power. 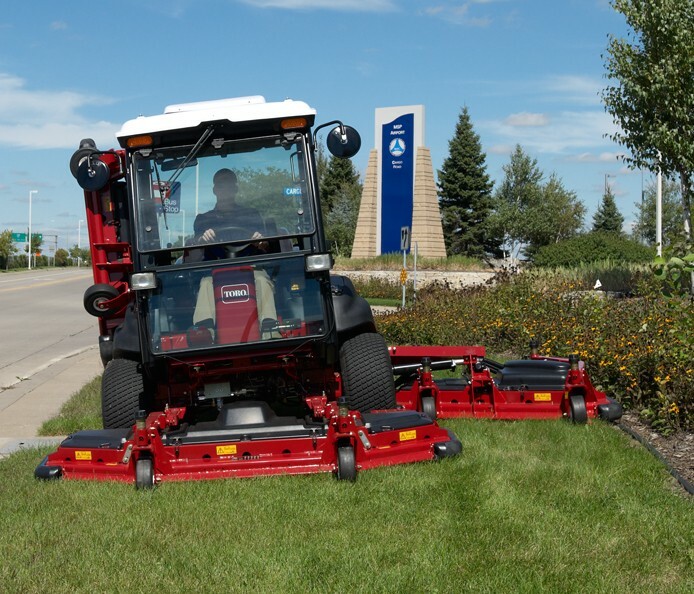 The gutsy Cummins QSB3.3 inline 4-cylinder engine puts out 74 kW (99 hp) and 415 Nm of torque to cut the thickest, wettest grass you can find. All while exceeding EPA Tier 3 and EU emissions standards for non-raod diesel engines. 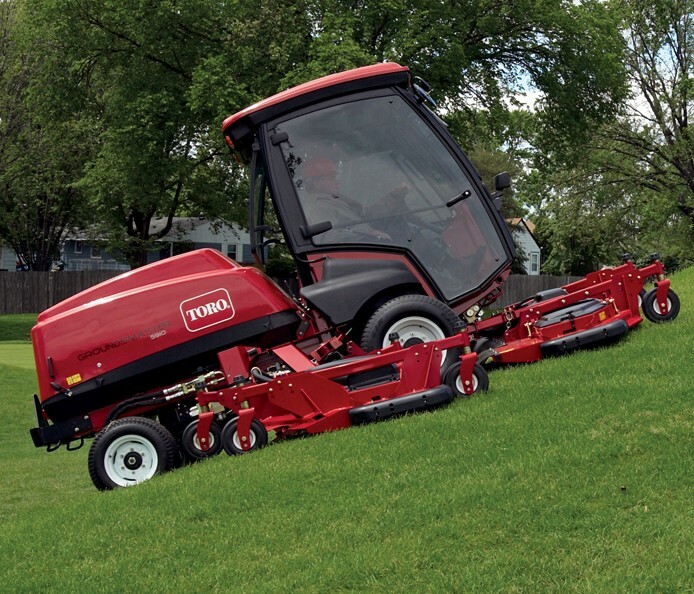 Mow closely around trees and other obstacles with zero trim. You can also turn 180° and leave no uncut grass. 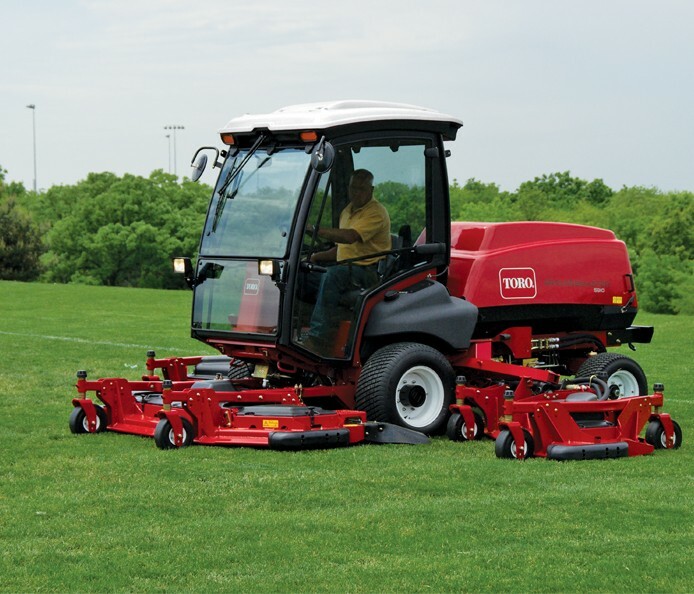 To mow between objects or along narrower areas, operators may raise either left or right wing decks (142" (3.6 m) width of cut) as well as both decks (92" (2.3 m) width of cut). 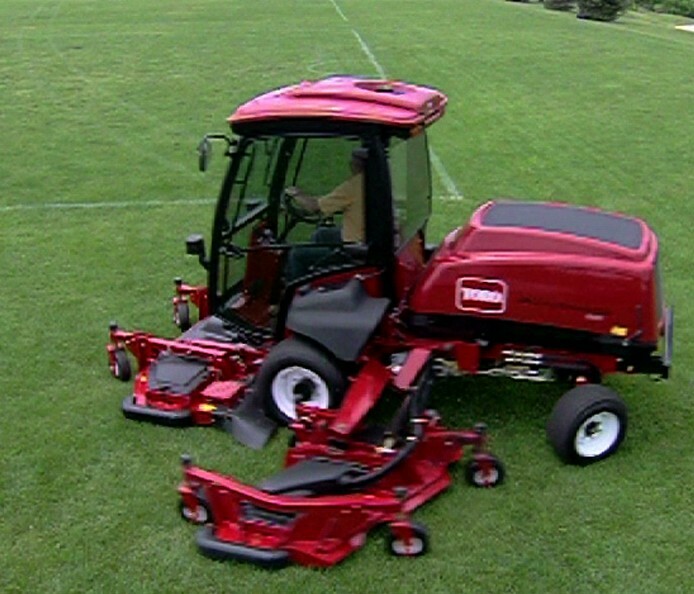 The cutting units can be set from 2.5 to 15.2 cm to handle a wide variety of conditions. The 5900/5910 Series is all about covering maximum ground. With the cutting decks down, you get a full 16' (4.9 m) cut capable of mowing more the 100 acres (40.5 hectares) per day.